I'm always up for a book or movie set in France. 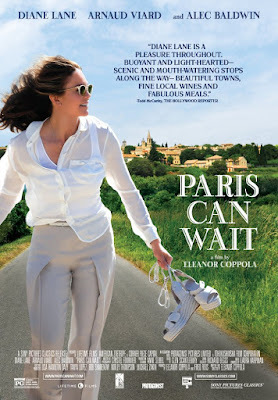 Since our anniversary rolled around and gave us a chance to stop working on the house for a few hours, I suggested that we go see Paris Can Wait with Diane Lane. Of course, we probably remember her from Under the Tuscan Sun. That woman gets around to European countries! Lane plays Anne, wife of movie producer, Michael, played by Alec Baldwin, who is always attached to a phone -- emotionally remote. The two are leaving Cannes to fly to Budapest for Baldwin's next movie, but Anne's ears are bothering her and the pilot advises against flying. In steps Jacques, one of Michael's business partners who volunteers to drive Anne to Paris. They think they'll be there by the evening, even though it's a 9-hour drive on a good day. As Michael flies off to Budapest, Jacques begins the French education of Anne. It starts with a relaxing lunch right in Cannes, and a bottle of wine just for her. Jacques, played by Arnaud Viard, proves to be a caring travel partner, stopping to get drops for Anne's ears, reserving two rooms for their overnight stay instead of one. Slowly, Anne is won over and decides that Paris Can Wait. The movie is full of contradictions. Jacques is this charming gentleman, but something feels slightly sinister. He has Anne pay for things, saying he'll give her the cash when they get to Paris. She overhears him on the phone trying to convince someone to give him a loan. He gets her to confide in him and he tells a story about his brother dying that seems a little off. Everyone who reads this blog knows that I am crazy about all things France, even so, the movie felt a little too tour-guide-ish to me. 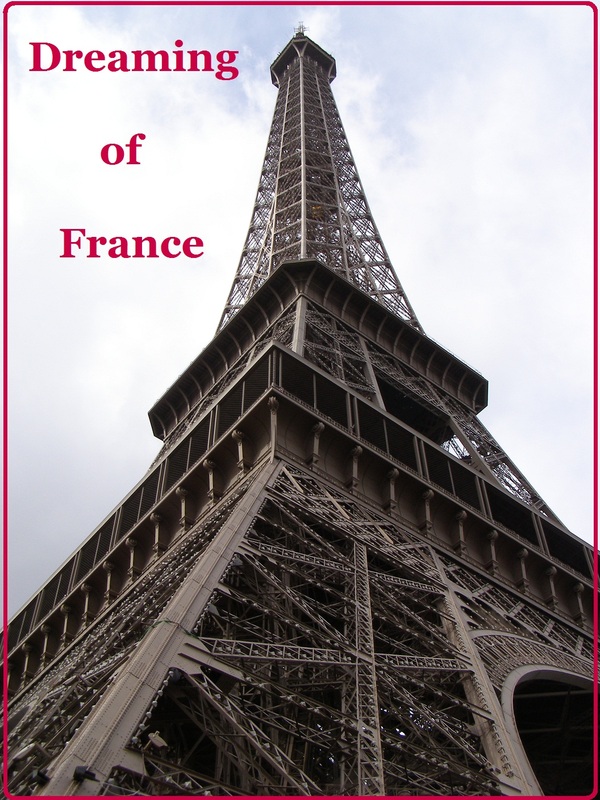 Jacques would tell the history of each monument or mountain they came upon. I enjoyed the movie, but it didn't sweep me away. The plot was too shallow, and in the end, the movie doesn't even resolve itself. It felt like a television show that I'll need to tune in to next week to see what happens. Go see it if you love French food and countryside, but don't make the mistake we did of the cushy recliner seats. You might just fall asleep. I've been wondering about that movie! Thanks for saving me the $13, I'll wait for it on Netflix etc. Lucky Diane Lane, though! She does get to go to all the best places. It must have been wonderful to film on location in France. That is rather disappointing. I must say I am not a huge Diane Lane fan. I think Diane Lane is just adorable, and I love the theme of taking time to enjoy life and all the good things in France, which is not limited to Paris. I suspect the story is a little soft because it was partly autobiographical, and the writer/director doth protest too much. Thanks for your review. It matched mine perfectly. Just as I suspected it did not come here. We tend to only get science fiction, action and kid movies. The reviews were awful but I would have gladly sat in the comfy recliner to see it. I've read mixed reviews on this and wondering if it would be worth the time. Pretty, I suspect. We'll see. You didn't inspire me to run out and see it tonight! Thank you for this review. I will have to try to see this film, flaws and all, this July as part of my celebration of Paris.